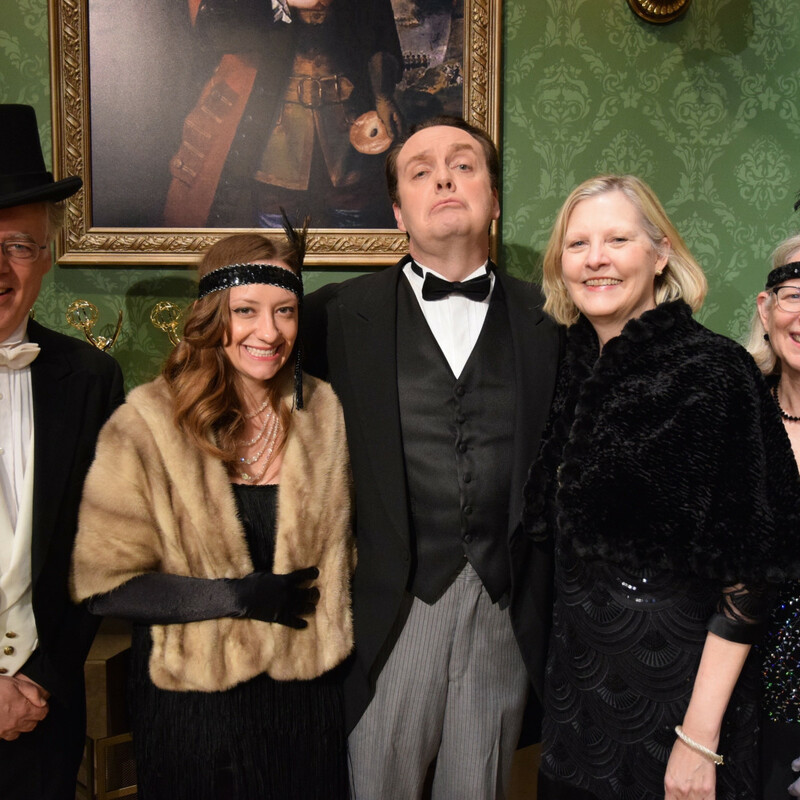 Both Downton Abbey and Manor of Speaking, the Houston Public Media TV8 show that dissects every twist and turn of the hit PBS series, come to a close Sunday night, with a two-hour series finale at 8 pm, followed by the last episode of Manor at 10 pm. 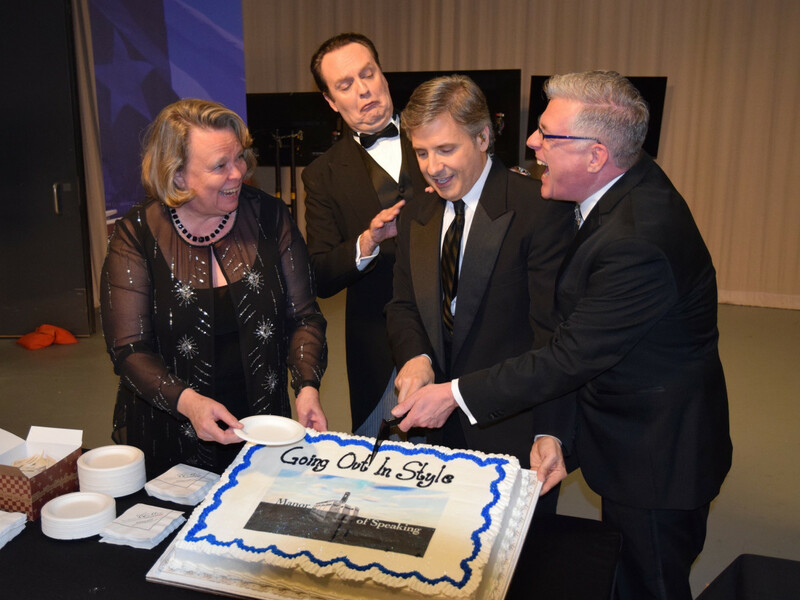 At a recent taping of Manor's final episode at the Melcher Center for Public Broadcasting on the University of Houston campus, there was laughter mixed with tears when the sign-off happened. 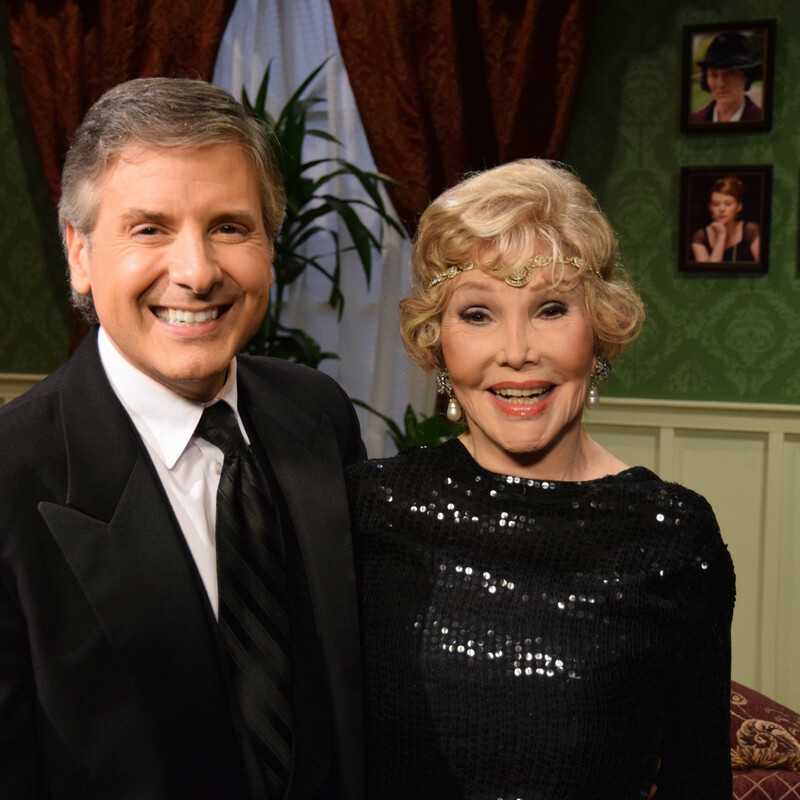 "The final taping continued to be as much fun as the other episodes have been although it did have a bittersweet edge to it," Helen Mann, one of Manor's breakout stars recalled in an email. "I think we will all miss each others' company and the energy that we generate when we bounce off of each other." 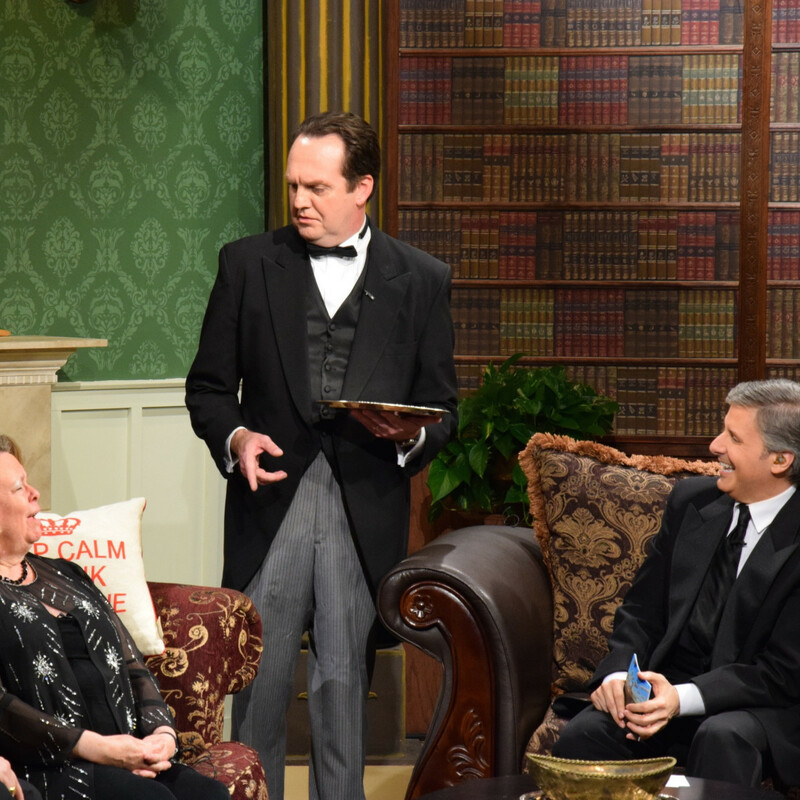 Four years ago, TV8 interviewer Ernie Manouse pitched the idea for an audience-driven talk show devoted to all things Downton Abbey. Manor debuted in January 2013, offering everything from recaps and history lessons to discussions of English etiquette, cuisine and fashion. 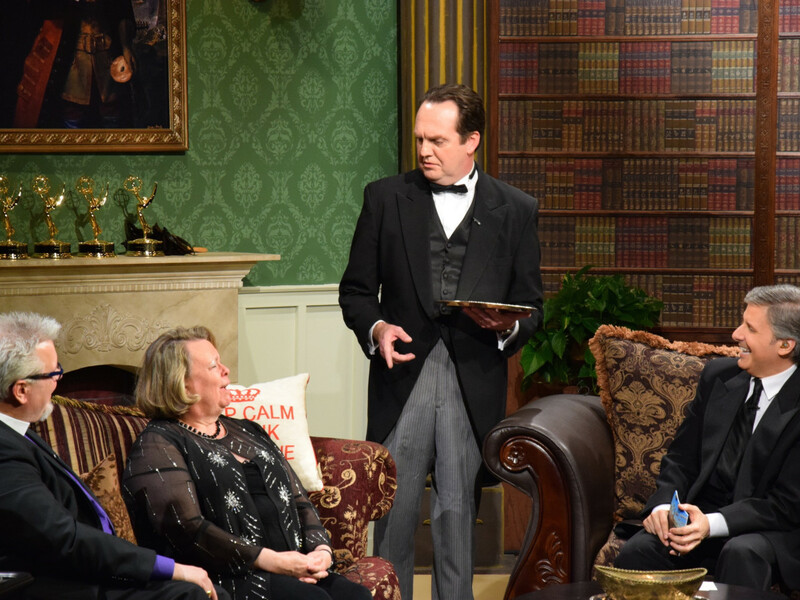 Such fans as Lyle Lovett, Barbara Bush and Lady Fiona Carnarvon, current resident of Highclere Castle where the series was filmed, have appeared on the show, joining popular regulars Manouse, Mann, St.John Flynn and Mr. Rodgers, the butler. 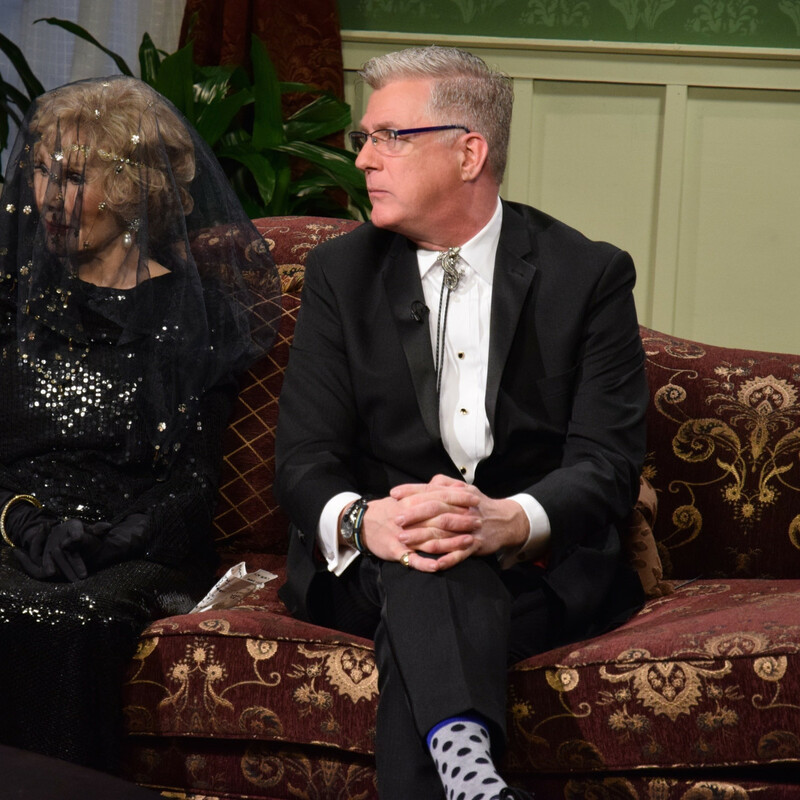 At the final taping, legendary Houston society figure Joanne Herring, who was a special guest, draped a lace veil over her head to mourn the series ending and fans in the audience dressed as their favorite Downton characters. 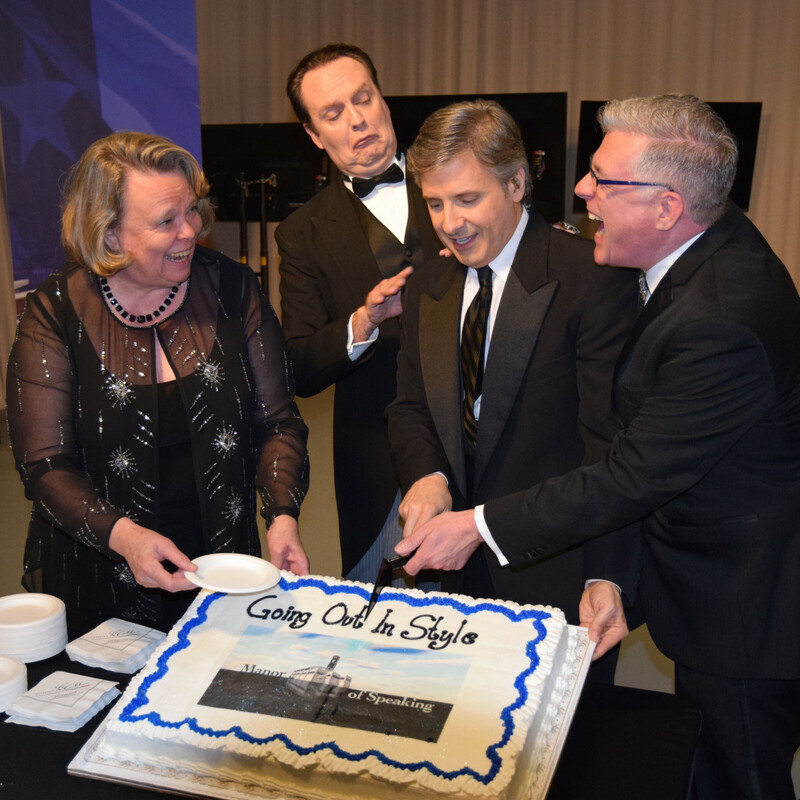 After the taping ended, they joined the cast and crew to celebrate with a cake emblazoned with the words, "Going Out In Style." Mann credits Downton's success to the terrific storytelling abilities of creator Julian Fellowes. "How he continued to weave his Scheherezade web for as long as he did, and keep us all enthralled, is very impressive. 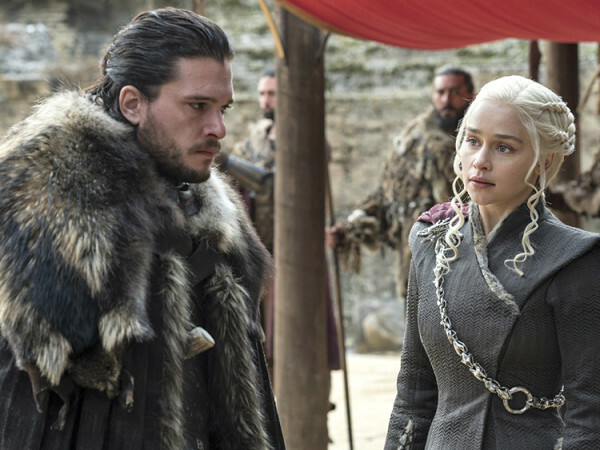 I shall miss settling down on a Sunday evening with a glass of wine to spend a happy hour with engaging characters in whose lives I was caught up — thanks to his and the actors' skills," she said. Mann didn't reveal any plot points but says that Fellowes ties up most of the loose ends in the last episode. " I personally would have liked a little more ambiguity — not everything had to be quite so pat for my taste," she said. 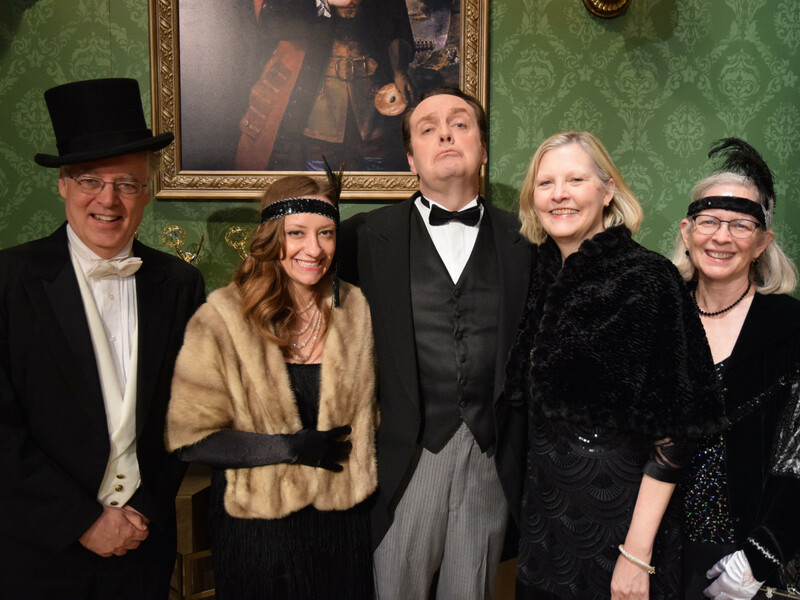 But with rumors of a Downton movie in the works, there's likely to be plenty more to reveal about the characters who inhabit a place in British history — and our lives.